With The Rut Mountain Runs behind us, Missoulians are getting back to some familiar territory - though sometimes on different routes. Take, for example, Montana Trail Crew’s Kristina Pattison, Forrest Boughner and Nate Bender, who were in the Rattlesnake Wilderness last weekend. The three started on the trail to Finley Lakes outside Arlee and topped McLeod Peak - the highest in the Rattlesnake at 8,620 feet. 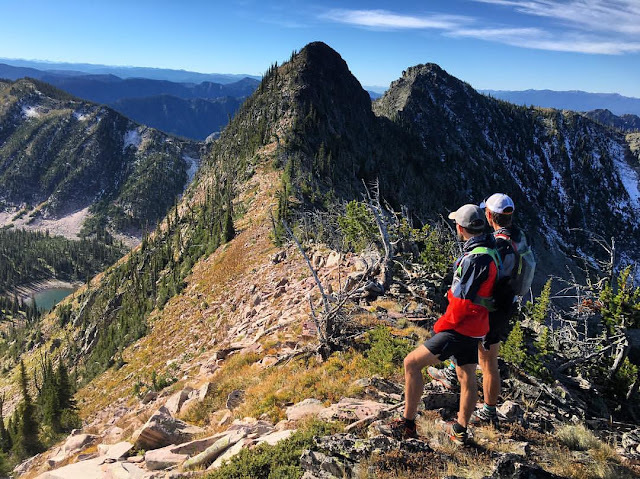 Pattison turned back there, while Boughner and Bender continued along ridges down to Sanders Lake and up to Mosquito and Stuart peaks, then came out Spring Gulch. It made for a long 26-mile day, Boughner said. Ethan and Christi Richards put together a weekend of running in Glacier National Park recently, crossing the 20-mile Gunsight Pass Trail west to east, from Lake McDonald Lodge to Sunrift Gorge. They also ran to Scalpock Lookout, Scenic Point and most of the trail to Numa Ridge Lookout before encountering a bear. 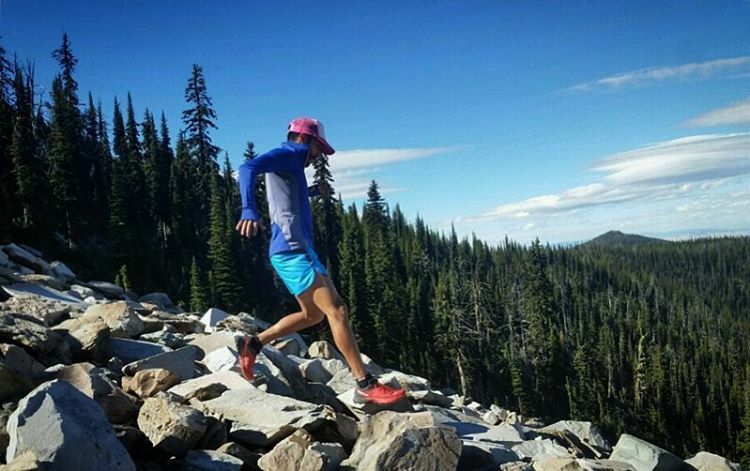 Milton Zhinin and Jesse and Kailee Carnes had an “excellent rock-hopping session” recently on a sunny afternoon run up the trail to Ch-paa-qn, Jesse Carnes wrote. 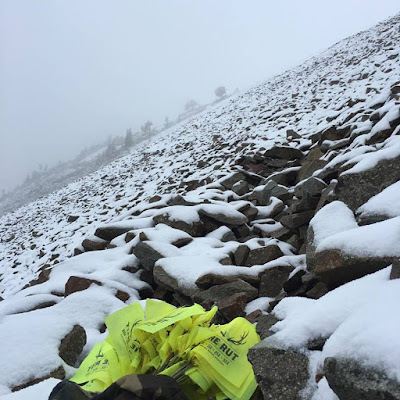 Finally, for those of you wondering about all of the flags left on Headwaters Ridge and Lone Peak after foul weather forced a course change at The Rut 50K, some of them were pulled th next morning. 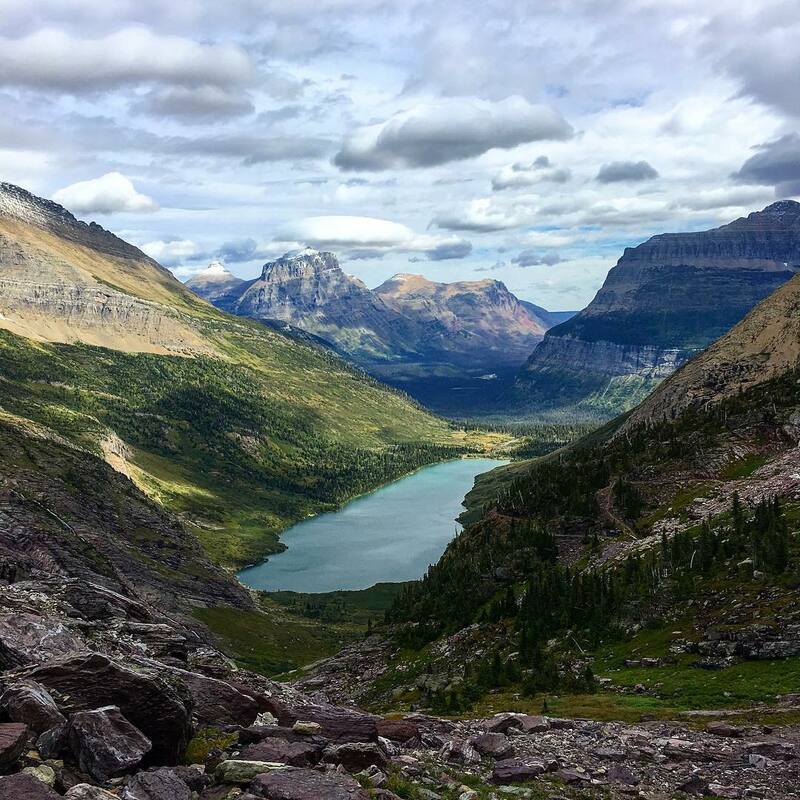 Before leaving Big Sky, John Fiore decided to see the conditions on Headwaters firsthand.